✰ Hello everyone! 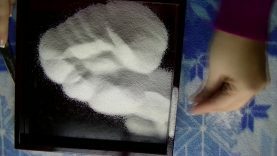 This ASMR video features: A white sand zen garden, fun with kinetic sand, the amazing feeling water gems/marbles, and a beautiful fiber-optic light toy. I hope you guys like it. Happy Viewing! You’ll find me at PixelWhipt soon!